Located On Garisson Bight, This Sprawling 3 Bedroom Home Exudes Luxury! Very rare waterfront home IN Old Town Key West WITH private boat slip and elevator! 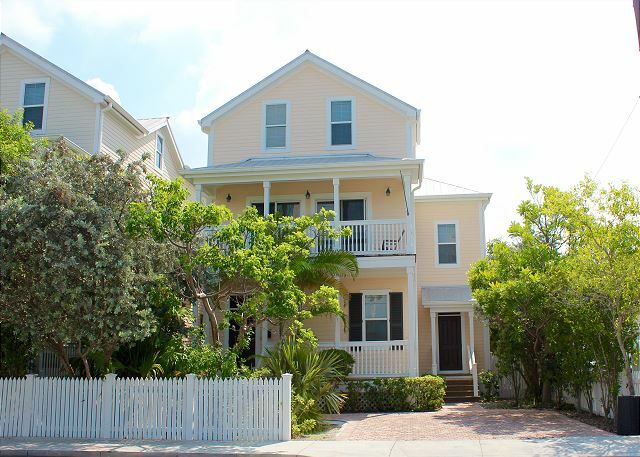 3-Story Old Town Home By The Water W/ Private Pool, 4 Bedrooms, 3.5 Bathrooms. This home has an open floor plan on the first floor and large enough to accommodate extended family! 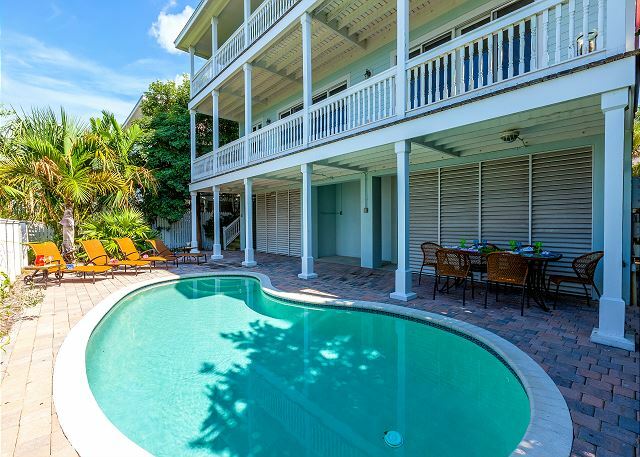 Groups of 8-12, a private pool and lush tropical landscaping in Old Town Key West! Has two off street designated parking spots. This home is quaint, but large enough to comfortably fit your extended family. 3-Story Old Town Home By The Water W/ Private Pool and off-street parking. 5 bedrooms with an expansive master suite with whirlpool tub along with separate powder room and walk-in closet. Waterfront 4 Bedroom 4 Bath Waterfront Home With Pool and Optional Boat Slip*. This home is decorated in a Hemingway theme with dark rich tropical colors and materials. Boat slip is based on availability and located 1.5 miles away.